The tiles from which the backgrounds in Fusion are created are quite special. 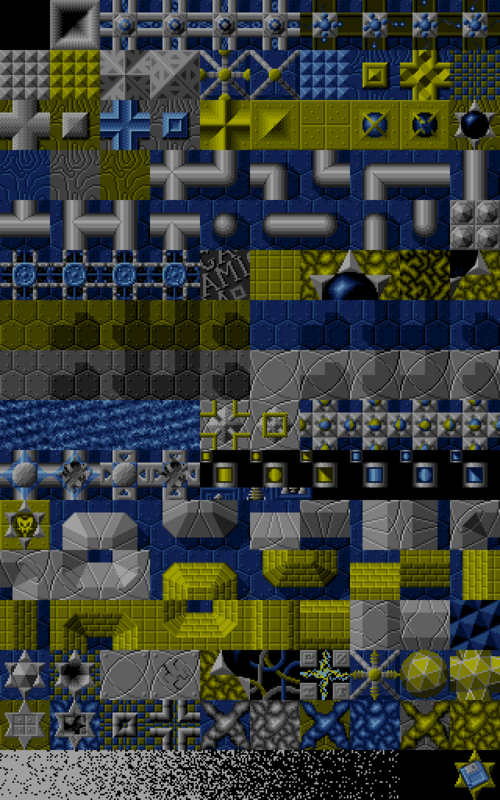 The game used quite large 32x32 pixel tiles, but the engine was able to use special clipping and masking techniques to cut out and mix the available tiles to form many different edge parts, cross disolves and special effects on the fly. This was probably also the reason for the small viewing window that the player was granted (just 288x128 pixels) and the relatively slow framerate.